A new type of allergy treatment called biologics can treat challenging cases of asthma, hives and eczema. Patients describe these drugs as life-changing while also having an outstanding safety profile. This kind of personalized medicine signals a new era of care—which is exciting for both allergists and allergy sufferers. 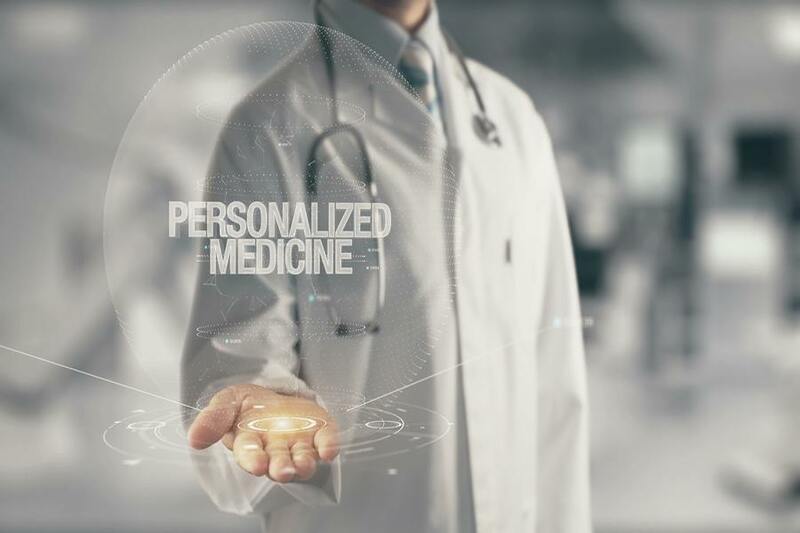 Personalized medicine separates patients into different groups to individualize medical decisions, practices, interventions and/or products to fit the needs of each patient based on a predicted response or their risk of disease. Biologics are a kind of personalized medicine that target a disease process in patients with a specific criteria, by using biological pathways to improve the treatment of allergic diseases that do not respond to conventional medications. The allergists of Allergy & Asthma Specialists offer biologics to treat the most challenging cases of asthma, urticaria (hives) and atopic dermatitis (eczema). Biological drugs are used when someone’s asthma symptoms are not relieved by traditional asthma inhalers and pills. In fact, they’ve been shown to decrease the number of asthma flares, and some can even improve lung function while decreasing the need for prednisone. Examples of biologic asthma medications include Xolair, Nucala and Cinqair. They’re made up of antibodies that help decrease allergic responses in the body. Xolair blocks the allergic antibody called IgE, while Nucala and Cinqair target a chemical called IL-5, which blocks eosinophils, a cell that inflames the lungs of patients with asthma. Chronic hives are another type of allergy disease, which cause itchy, red welts that can persist for more than six weeks. Chronic hives can be very uncomfortable and interfere with sleep and daily activities. But in addition to being effective for asthma, Xolair is also approved to treat chronic hives in adults and children who are at least 12 years old, after antihistamines have been tried unsuccessfully. Clinical studies have shown that the use of Xolair even reduced the number of hive flares and the severity of the itch. Some patients even reported being completely itch and hive free. The last type of allergy biologics can treat is atopic dermatitis (AD), also known as eczema, a skin condition characterized by dry scaly skin and intense itching. The skin also may become thickened from long term scratching and rubbing. Living with uncontrolled moderate-to-severe AD can be extremely challenging – and more than one million adults in the U.S. struggle with treating this disease. Dupixent is a biological drug used to treat adult patients with moderate-to-severe eczema whose disease cannot be treated with topical prescription therapies. However, it can be used with or without topical corticosteroids. Dupixent blocks allergic inflammation by blocking a specific immunologic receptor. It is also being actively studied as a treatment for asthma and chronic rhinosinusitis/nasal polyps. Dupixent often provides a dramatic response in eczema patients, resulting in clearing or the near clearing of the skin. Ready to find relief? The physicians of Allergy & Asthma Specialists make it their mission to be at the forefront of evaluating and providing the most innovative, safe and effective treatments available in the management of their patients with asthma, eczema and hives. When selected for the appropriate patients, these treatments can dramatically improve the quality of the patient’s life while at the same time reducing the need for more medicines.